Happy Friday!! This was literally one of the longest weeks ever for me, and I'm ready to be relaxing. What I love most about our house is our yard that we completely redid. It's like a private retreat for when we just want to stay home and hang in the sun. I love just walking out my backdoor and having a couch, chair swing, and fake grass to sit on. For this look, I'm wearing my lace flare pants from Broken Down Clothing and my pom pom off the shoulder shirt from Berkeley Elleven. 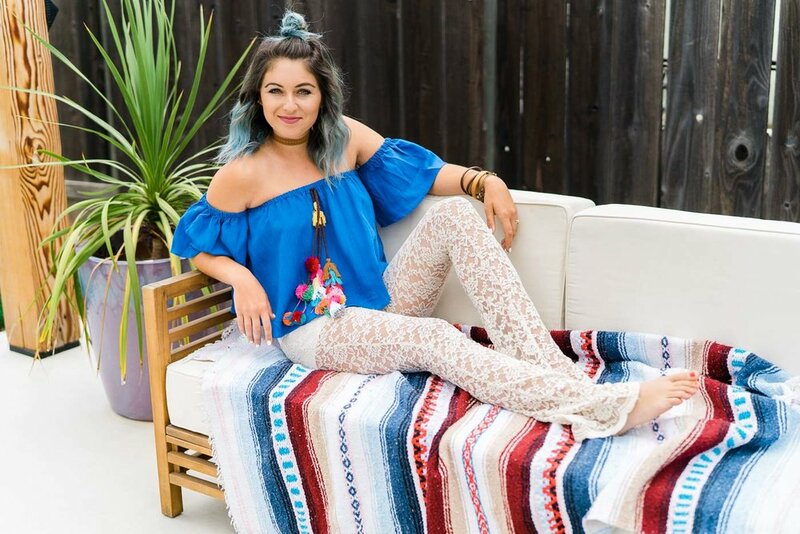 It's a super casual backyard hangs type look and perfect for summer. I just added a simple choker since the pom poms are already there, and threw on some simple wood bangles as well. See more from our backyard renovation here!